Manchester United are interested in signing Inter Milan midfielder Marcelo Brozovic, report The Sun. The Sun believe that Jose Mourinho was initially interested in signing Brozovic’s teammate and compatriot Ivan Perisic. However, the tabloid believe that The Special One was rebuffed in his efforts to sign Perisic, and has subsequently joined the race to sign Brozovic. 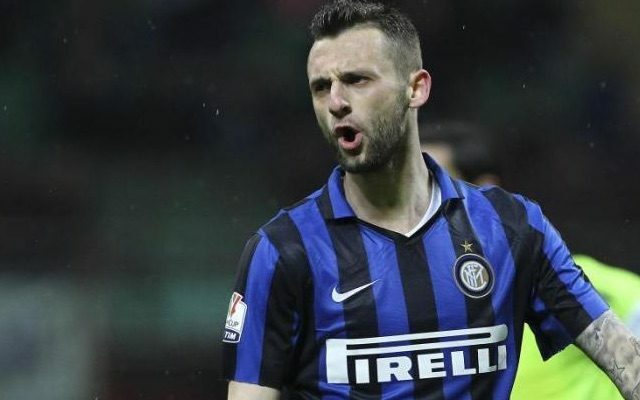 The Sun cite Italian outlet Calciomercato, who report that Brozovic leaving the San Siro in the summer transfer window is by no means out of the question. Calciomercato report that Inter would be willing to let the Croatian leave if his release clause is paid in full. According to Calciomercato, that release clause stands at a whopping £43million, a price that Man United are reportedly willing to pay. United have displayed their financial power several times in recent transfer windows, and it appears as though this summer will be no different. Brozovic could be on his way to Manchester.